Home > Financial Plan - Asset Allocation > MONEY MYSTERIES - Asset rebalancing is a magical investment technique..! MONEY MYSTERIES - Asset rebalancing is a magical investment technique..! 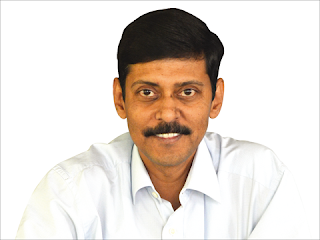 ﻿Asset rebalancing is a magical investment technique that has an unfair reputation of being complicated and difficult to implement, says Dhirendra Kumar. Many investors have not even heard of asset allocation and asset rebal ancing. Those that have, often as sume that these are complicated beasts which they cannot possibly understand or use. Nothing could be further from the truth. These ideas are not only simple and useful, understanding them will also help you make better investing decisions. As for the difficulty in understanding, let me solve that problem for you in a few minutes. 1. Broadly, there are two types of financial investments, equity (shares) and fixed income (deposits, bonds, etc). 2. Equity has higher potential gains and more risk, while fixed income gives lower but steady gains. Depending on your needs, you should invest in the two in a particular proportion. This proportion, and the process of arriving at it, is called asset allocation. 3. As time goes by, equity and fixed income gains grow at different rates, thus disrupting the desired asset allocation. Shifting money between the two to restore that allocation is called asset rebalancing. That's all. So, are their any actual benefits, or is this just nice theory? To find the answer, look at the accompanying graph. You will see that with annual rebalancing, as I have described above, having 40% or / 60% equity is a great option. The returns are higher, and yet there is much lower volatility. No tice that Rs. 10,000 grew to Rs. 58,600 at 60% equity, faring much better than pure equity. In fact, pure equity was the worst of the lot. When the markets fall, the 40% and 60% allocations fall much less than the 80% or pure equity options. They also rise less when the markets recover, but that's fine because they took less of a dip in the first place. This lower volatility has financial advantages, but more importantly, it also has tremendously beneficial psychological implications. It ensures that when the markets crash, you are much more likely to stay invested. Going by the example shown in the graph, if you had invested in pure equity, during the crash of 2008-09, you would have lost nearly two-third (63%) of your value, from the peak of the market in January 2008 to the bottom in March 2009. However, in the 40% equity option, your losses would have been limited to about 23%. To understand the mechanism of how this works, you can probe a little deeper than the simplified version above. The basis for asset allocation is that the two types of financial assets equity and debt are fundamentally different. But they are also complementary. In terms of the conflicting need of investments to give high returns and high safety, each plays a role that compensates for the other's deficiencies. There are just three (3) ways that an investment can make money. 1. By lending money to someone who pays interest on it, be it a business or the government. 2. By becoming a part-owner of a business, as in having a share in it. 3.By buying something that becomes more valuable, like gold or / real estate or indeed, any possession. Equity grows faster than debt (which includes all kinds of deposits), but is much more volatile. There are times when it will rise much faster than debt, and there are times when it will grow slower, or even fall. It turns out that the best way to protect yourself and take advantage of the fact is to decide on a percentage balance between equity and debt, and sticking to it by periodically shifting money away from the one that becomes high to the one that becomes low. When equity is growing faster than fixed income--which is what you would expect most of the time--you would periodically sell some equity investments and invest the money in fixed income so that the balance would be restored. When debt starts lagging, you would periodically sell some of your fixed income and move it into equity. Inevitably, things revert to a mean, and that means when equity starts lagging, you have taken out some of your profits and moved them into a safe asset. The effect of this, as you can see from the accompanying graph, is almost magical. Volatility, the bugbear of equity investing, is toned down and returns are hardly affected. While this sounds like hard work to implement, in truth, it is not.